Resistance training is more important and far more effective than cardio for fat loss, and is an essential part of your training programme. There are eight essential exercises that everyone should include in their resistance training programme. So, you want to get lean; be ripped? You have your nutrition targeted at fat loss; you have your supplement regimen all ready. Now, you just need your training program sorted, and you will be ready to roll. How do you train for fat loss? What are the best exercises to include? What is the best split to use? How much cardio do you do? How many recovery days do you take? The information available is varied and often contradictory, because what works for one individual does not always work for another. If that is the case, how does one go about setting up a training routine if everyone responds differently to different training programme? 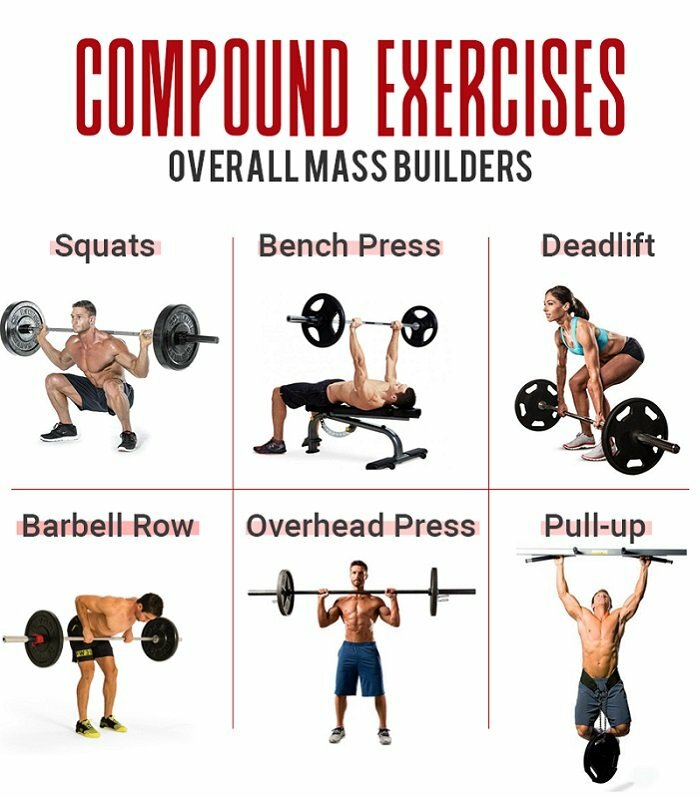 Every exercise is a compound, multi-joint exercise, ensuring that your training sessions are as effective and efficient as possible for fat loss, by recruiting multiple body-parts, including those that are not able to be exhausted in the same way with isolation exercises. Ironically, these exercises are the same ones that will help you build the most muscle mass—the only difference is the number of sets and reps, and the recovery period between sets used. 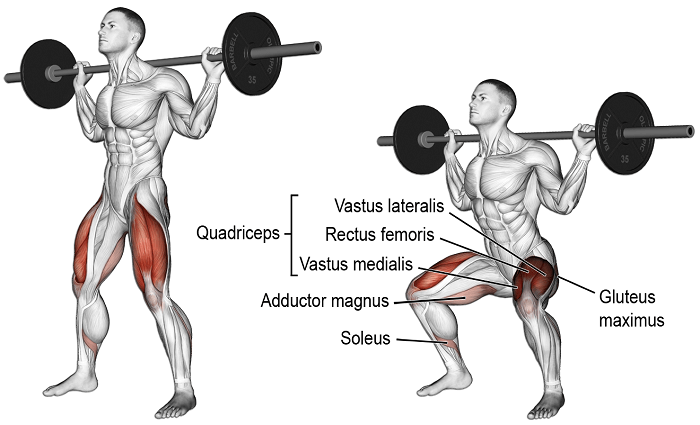 Squats hit most muscle groups in the body, with emphasis on the core and large lower body muscles. The more muscle mass and motor units recruited during an exercise, the better the exercise for burning body fat. 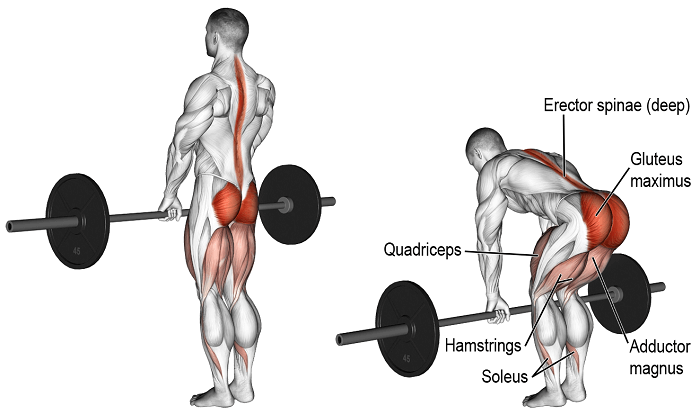 The deadlift hits not just the back, but the entire core, recruiting and strengthening the large lower body muscles, from the shoulder girdle down to your hips and legs, with emphasis on the gluteus maximus, quadriceps, hamstrings, hips, and abdominals, strengthening and stabilising the erector spinae and lower back. This exercise is very important, as the lower back is usually a very weak area on most, which in turn creates instability, injuries, and other issues. Depending on your forearm and grip strength, you can use straps to hold your grip to the barbell when you start moving heavier weights. Otherwise, there are several hand positions you can use—both hands pronated (i.e. overhand), an alternate grip (this helps strength) with one hand pronated and the other supinated (i.e. underhand). There are so many variations of pull-ups that can be done, from using full body weight to the assisted machine, to even adding weight in the form of extra plates from a chain on a weight belt. You have close or wide-grip options, with your hands in a neutral, pronated, or supinated position. You can do half-reps (focus—although on the back—includes more emphasis on the biceps), complete pull-ups (with elbows to full extension), or sternum pull-ups (where you keep going up until your sternum touches the bar). 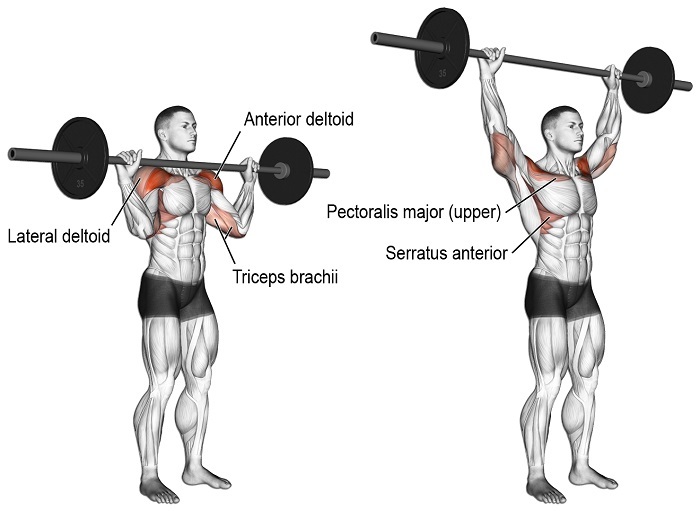 Also called a shoulder press, the military press targets the deltoids, and is generally done in a standing position—that way it forces the trainee to stabilise their core, instead of being able to use the bench for support (as they would in a seated military press). 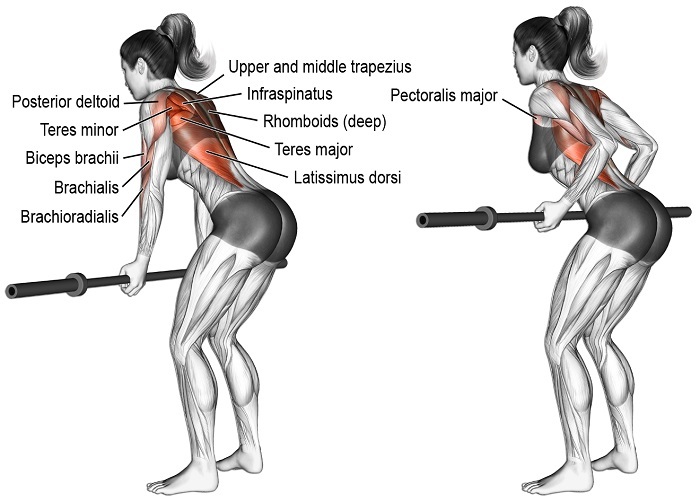 As with the squat, deadlift, and reverse bent over row, the core is activated during the military press; barbells or dumbbells can be used, with a barbell preferable, as unilateral movements can sometimes lead to muscle and strength imbalances. There are in front of the head and behind the head presses; behind the head presses are for the experienced trainee only, due to the increased risk for injury if the exercise is performed incorrectly. Dips are the best exercise you can do for your triceps. Beginners can start off doing bench dips – dips with their hands on a bench, their feet on the floor. Graduate to body weight dips on the dip bars. The experienced trainee can add weight to their dips by either holding a dumbbell between their feet or hanging a plate on a chain on a weight belt. Fast or slow, dips work your arms, and you will feel the burn during the eccentric action. You can vary your grip from the normal shoulder-width apart by having them slightly wider, or even having your palms turned in facing your body. 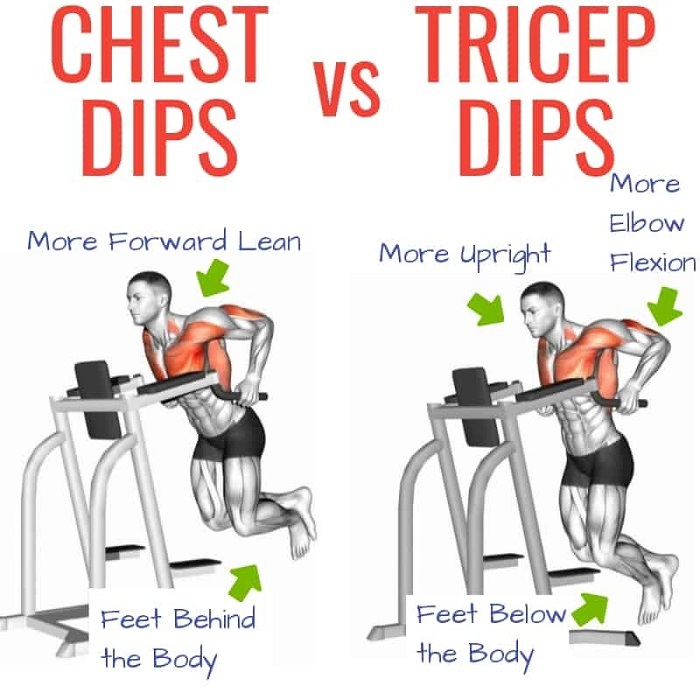 To focus solely on the triceps, dips should be performed with the body straight up and down—having a tilt (in the upper body) causes the pectorals to work more. Dips can also contribute to your strength on the bench press. I recommend training the full-body, regardless if you are using the two or three day split. 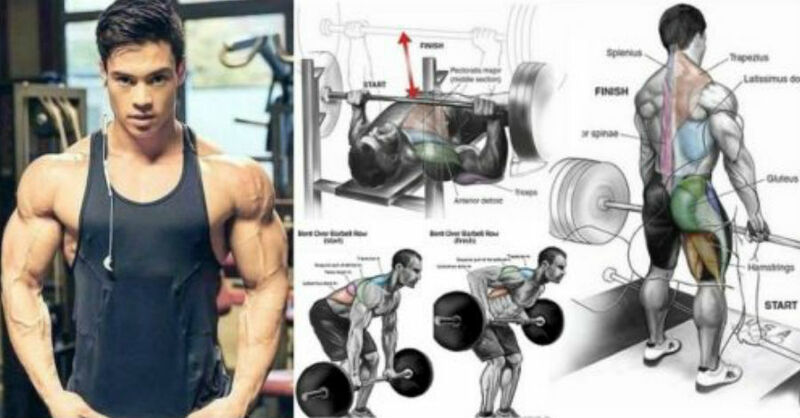 Working the full body produces more anabolic hormone than just doing the upper or lower body alone, recruits more motor units than working the upper or lower body alone. The more motor units recruited per session, the greater the increase in neural activity, which will train the body to work more effectively as a whole, and therefore aid in better fat loss. If you are a beginner, make sure that you always use good form for every exercise; otherwise you are putting yourself at risk for injury. All reps should be controlled and with good technique. It is not about how much you can lift, but how well you lift, and I highly recommend getting a personal trainer if you are just starting out, so that you can be shown the correct technique (very important) for each exercise. To get ripped, you must first concentrate on your nutrition! Once your diet is sorted out, then you turn to your training. The squat and deadlift are the two most important exercises to be included. The power clean provides a complete full-body exercise. Then, to balance each other out, the bench press and the reverse bent over row, with pull-ups providing a complete back exercise. 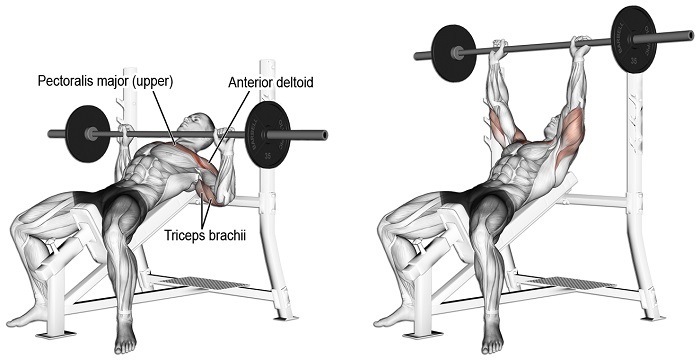 Not to neglect your deltoids and arms, include the military press and dips.